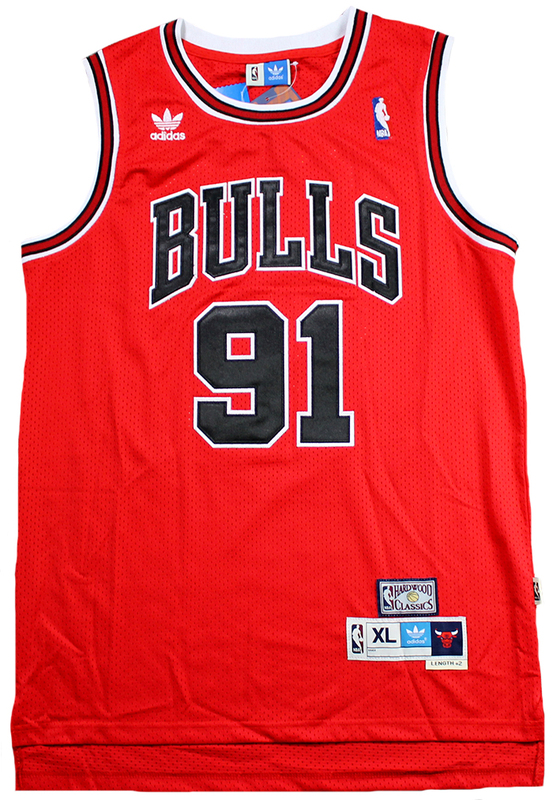 Dennis Rodman personally hand signed this Chicago Bulls Adidas Hardwood Classics jerseys. Each autographed jersey includes an individually numbered TRISTAR Authentic hologram, which can be verified at www.tristarauthentic.com. Dennis Rodman was enshrined in the Basketball Hall of Fame in 2011. The 6'8" forward was a rebounding machine, leading the NBA in rebounds per game for a record-setting seven consecutive seasons, from 1991 to 1998. A two-time Defensive Player of the Year and seven-time All-Defensive First Team member, “The Worm” won his first NBA championship in 1989 with the Detroit Pistons. 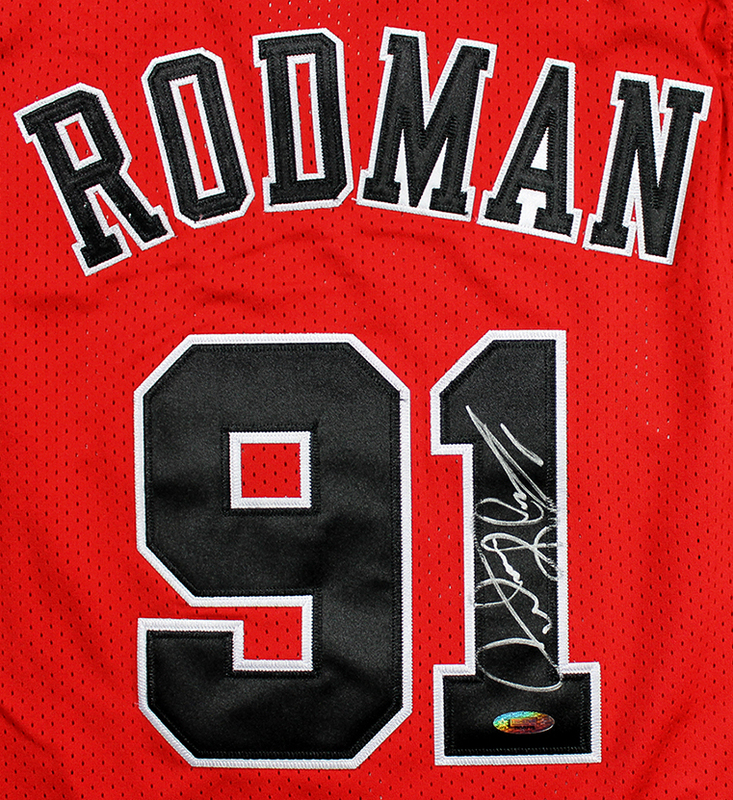 The following year, Rodman helped the Pistons capture a second consecutive ring. 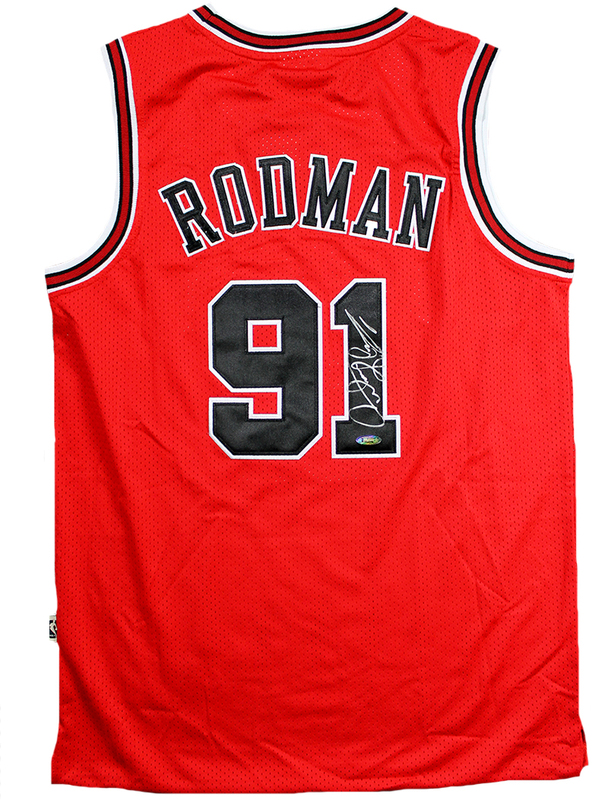 In 1995, after a short stint with the San Antonio Spurs, Rodman joined Chicago, where he teamed with fellow future Hall of Famers Scottie Pippen and Michael Jordan to lead the Bulls to three titles in three years.